He was born in 1922(ish) and the Haitian man is said to have been turned into a zombie by a combination of drugs. He been of interested both in folklore and for those that have an interest in how his condition came to light. It’s believed he was drugged by puffer-fish venom and toad venom, it induced a coma that mimicked the appearance of death. The general belief is that it the poisoning was done by his brother when they had quarrelled over land. He was then returned home, where he collapsed and seen as dead, he was then buried. The Bokor (sorcerer) then retrieved the man who was, in effect, buried alive. 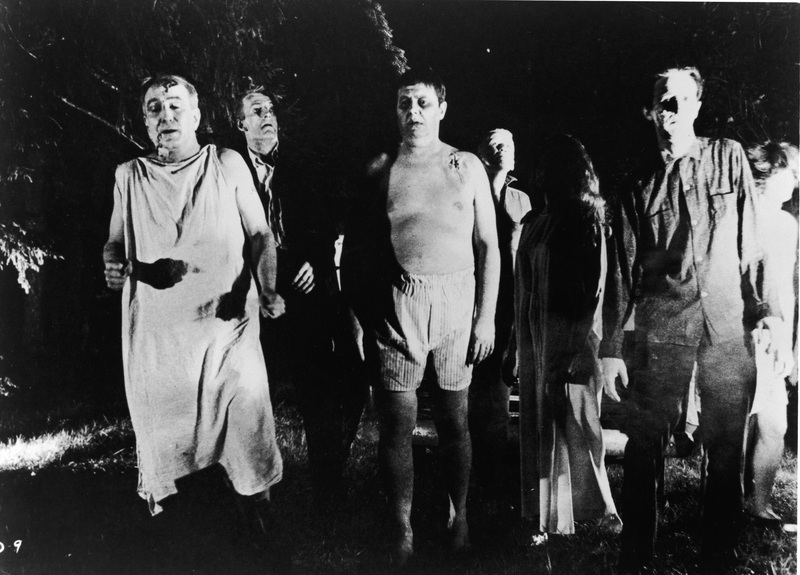 Once retrieved from his grave he was given a drug known as datura, which causes memory loss and hallucinations He was in a zombie-like compliant state and this meant he worked subserviently for two years on a sugar plantation. The owner of the plantation died and Narcisse was left to wander free, unaware of the death of his brother he slowly began to regain his senses as the drug left his system. According to the interview with American Scientist after 18 years of being presumed dead he came back to his village, he managed to convince his sister and some of the villagers about who he was. After the hallucinogen worked it’s way out if his system the former was restored to his natural mental state. One of the things that is frustrating is that there are not enough notes, from Wade Davis who explored the case, to determine the actual neurotoxin used. Mary Shelley is best known in history as the creator of the novel Frankenstein. She died 1st February 1851 and despite never having lived in Bournemouth requested she was buried there. Her wish for this and her deceased parents to join her was met, her parents were buried with her. Mary Shelley had lost three of her four children to illness and when her husband died she was in the process of recovering from a miscarriage. Her son, Percy Florence, had purchased land there and was arranging to build Boscombe Manor for his sick wife and Mary, his ailing mother. She died before it was completed but she was buried in Bournemouth anyway. 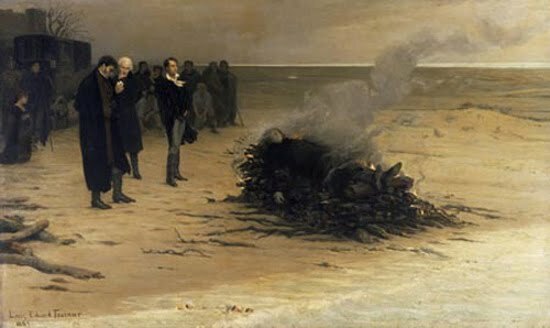 In 1822 Mary’s husband, Percy Bysshe Shelley, had died during a boating accident out in Italy. The body washed ashore on a beach near Viareggio and due to quarantine laws it was cremated on the beach. A friend saw this and the heart did not seem to be burning very well, he was able to take it from the pyre and passed it back to Mary Shelley. It sounded like a very bizarre and romantic thing to do but most likely Edward John Trelawny was more interested in the object for his own collection. He was eventually persuaded to hand the heart to Mary Shelly and the heart then ended up at Boscombe Manor for many years. When her son, Percy Florence Shelley, died he was buried in the family tomb. At the same time the heart was slipped into the tomb. The two were finally united. Louis Édouard Fournier, entitled The Funeral of Shelley.